Biometric Mirror is an interactive art exhibit created and produced by Lucy McRae. Patrons of the exhibit are invited to casually glance into one of the installation’s mirrors which then runs an artificial intelligence software to analyze and “perfect” the patron’s physical facial features. The exhibit utilizes technologies researched and developed at the University of Melbourne that take into consideration physical attributes of the face including age, gender, and race, which are then quantified and modified through use of an algorithm to produce a Marquardt Mask, or a more “physically perfect” version of ones face.The participant is therefore shown, face to face a simulated version of themselves. Something that is similar, but eerily "off." They are presented with a doppelganger who is supposedly superior to themselves. The Marquardt Mask is an algorithmic process which “identifies facial characteristics that are universally perceived as beautiful.” It does so by analyzing one’s face and comparing it to a database of faces which have been measured and gauged in 14 different categories of beauty and attraction.In addition to creating a perfected version of ones face, the AI embedded mirror also performs the convenience of quantifying ones attractiveness as well as identifying their current emotional state through facial recognition software. Biometric Mirror’s objective is to personalize the application of the Marquardt Mask to the patrons of the exhibit and pose the question, “…whose version of perfection is it really?” This exhibit challenges artificial intelligence’s objective assertions on a subjective matter. The patron is subconsciously asked to subscribe to a machine’s discoveries, supposedly based in math and semi-perfect science, or, instead, decide to invest their beliefs in more subjective determining factors. After all, how can one trust the diagnosis of emotion from an entity which has never and cannot experience emotion in the same mode as a human person? Moreover, the biometric mirror asks participants to identify and officially define their own interpretation of the concept of beauty. Beauty is a subjective concept that while it has a defined meaning, is an innately differing concept, varying in perception from one individual to another. Very interesting piece you've chosen. Perhaps you could edit the Marquardt Mask paragraph into two paragraphs. In addition, you could also add the numbers of your footnotes into the body of text to make referencing easier. I found this piece that you chose to write about to be really interesting. This interactive art installation is a great pairing of art and technology, and to use it to pose the question of what it means to look "perfect" and how we should feel about this concept of perfection in appearance. A suggestion that I would like to make to improve this post, is to adjust the sizing and alignment of both the video and the images. This is so that the texts flow better visually in between paragraphs, and not look so chunky with the big spacings in between them. 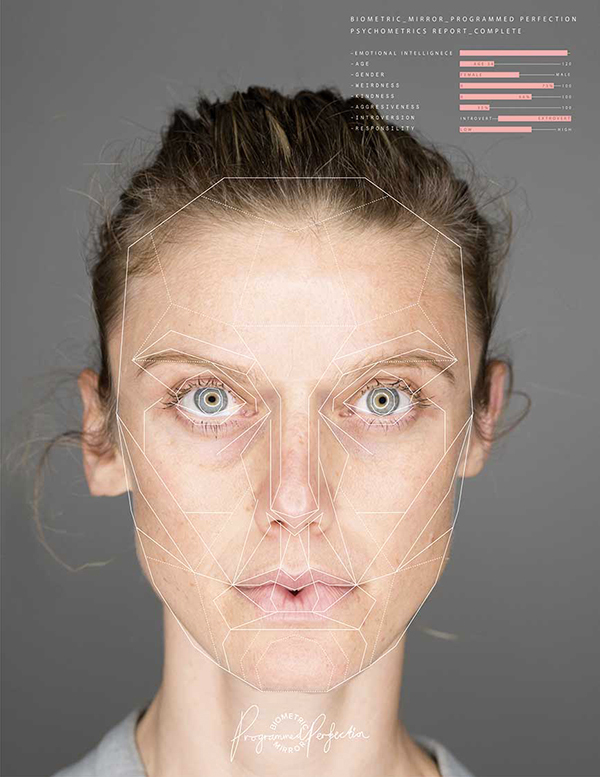 Very interesting topic, this type of art is one where we could save different scans of biometric features of someones appearance and can be used for identifying people with just a match of characteristic part of their face. Maybe add something that the creatures had some sort of inspiration of their artwork. Really interesting piece, sounds like a great installation piece and uses AI which i am really interested in. Great links to articles, found some more interesting thing in those that you might be able to use for the article.